Bachelor in Paradise star Jordan Kimball just did a podcast with Reality Steve. In this, he talked all about the Jenna Cooper situation. Jordan isn’t holding back at all. This podcast lasted about 40 minutes. Steve even admitted that he was hoping he was wrong, but that doesn’t seem to be the case. 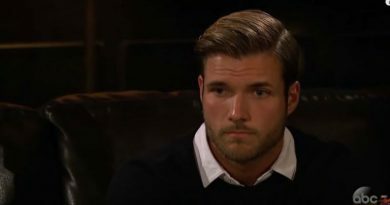 ABC’s Bachelor in Paradise’s Jordan Kimball is speaking out and he doesn’t doubt for one second that Jenna Cooper sent the recently released text messages to another man. Jenna actually denied it on her Instagram today, but when she talks to Jordan she isn’t denying it at all. The reports were that Jenna’s relationship with Jordan was fake. It was allegedly all for business and she was even cheating on him. Jordan has talked to Jenna and she isn’t denying that she did this to him. She said things to him like she might have been drunk and needed to check her text log to see if she said these things. As Reality Steve and Jordan discussed, she is acting like someone who is guilty. Reality Steve actually let Jordan Kimball read the email exchanges between himself and the guy. Jordan was able to get more information this way. He says that reading them made his “blood hot.” Jordan Kimball knew reading these that Jenna Cooper was doing things behind his back. The fans need to remember that Jordan is basing this all on way more than just the texts the fans have seen. He has seen more and talked to Jenna, which nobody else has done. Jordan Kimball says that he is here for Jenna, but he doesn’t seem to think the relationship can be fixed. He doesn’t see any way that the trust can be regained after what went down between them. Kimball went from crying to shaking and feeling sick. He admits that he hasn’t even eaten anything all day long. Jordan is normally a jokester, but he wasn’t like that at all in this interview with Steve. Reality Steve feels like Jordan Kimball really fell for Jenna. It doesn’t seem like it was fake to him, even though it may have been to her. As Jordan explained, if he was faking it then he must be an amazing actor and didn’t even know it. 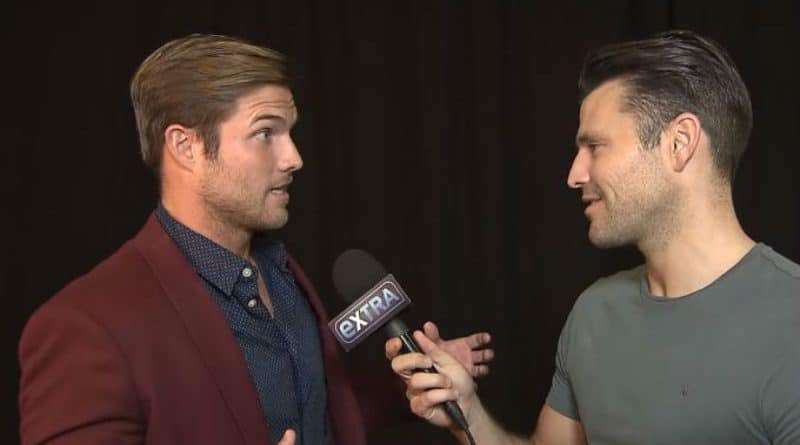 Kimball says he stayed on Bachelor in Paradise because of her. He admits he was scared of the idea of having love at first sight while on a television show. Now one thing Jordan did hear was that it might be being “used as a business opportunity” for her. Jenna told him she loved him and he didn’t see this coming at all. He never had a reason to believe it was for business and not for love. Who is this guy Jenna Cooper cheated with? So far, nobody is admitting who the guy is, but he did reach out to Reality Steve on his own. The man told Steve that he felt like she was using him just for money. He is more than that and was tired of being used. He reached out to Steve and then this all blew up from there. One more thing is that Reality Steve has not been contacted by Jenna Cooper at all. He feels as if this was really fake, she would have reached out. She should have asked him to take it down or tried to prove it was a lie, but that isn’t something she is doing. As of right now, everyone seems to think she is guilty.